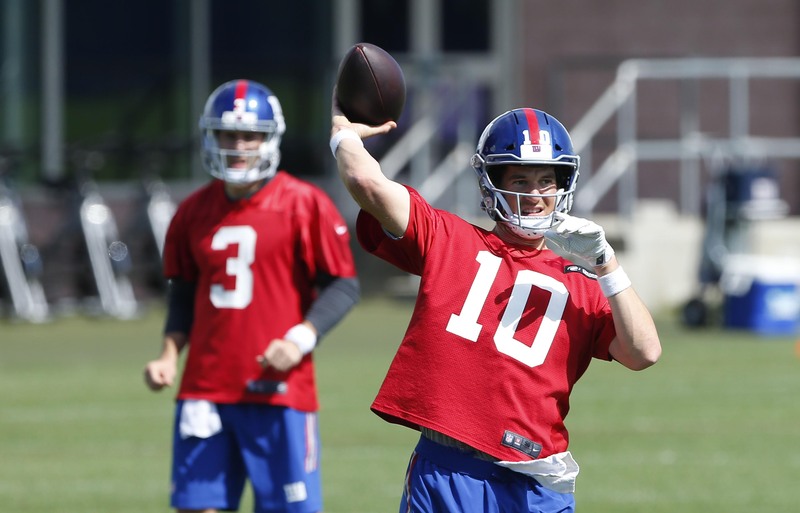 The New York Giants might have a 37 year-old quarterback leading them into battle this season, but that doesn’t mean they can’t be successful. Thirty-seven is just a number, and while some may believe Manning is in decline, I can make the argument that he’s primed to have his best season yet. In 2017, Manning was forced to manage an offense that was deprived of an offensive line and succumbed to injuries across the board. Without any depth at wide receiver, the Giants’ quarterback still recorded over 3,400 yards – to put that into context, Manning only threw 3,238 yards in the 2008 Super Bowl season. The Giants selected Penn State running back Saquon Barkley with the No. 2 overall pick in the draft this year, deciding to pass on a signal caller that could eventually become Manning’s heir. This choice attests to the confidence they have in the aging veteran, and that providing him with an arsenal of weapons was the priority going into the season. Manning has lacked a stellar running back for years, and has never had a compliment like Barkley who can do it all. With Odell Beckham Jr., Barkley, Sterling Shepard, Evan Engram, and a line that has been overhauled with Nate Solder and Will “The Hulk” Hernandez, should put Manning in a position to succeed. Additionally, head coach Pat Shurmur will play to his quarterback’s strengths – play action and controlling the line of scrimmage before the snap. Manning is one of the best QB’s at managing the game before each play, recognizing coverage and breaking down the defense to audible into preferred match-ups. Expect to see Manning isolate Beckham Jr. on the exterior while using Barkley as a decoy in the play-action. Some might say, the Giants had Beckham and Brandon Marshall last season, which was cause for excitement. We all know that result. While we should temper our expectations and ensure we prepare for growing pains, we can still be excited about the immense talent that will be featured on the offense this season.